Certain pain medications can carry negative side effects while offering limited relief from pain from sports injuries, surgeries or other traumas. Cortisone shots offer patients fast relief from pain resulting from severe inflammation. Ask your doctor if cortisone shots are the answer to your chronic pain. By injecting the corticosteroids directly into the inflamed tissue, cortisone shots offer patients more instantaneous relief from pain caused by stubborn conditions such as arthritis, sciatica and chronic back and neck pain. While cortisone shots do not directly relieve a patient’s pain, it does swiftly address the patient’s painful inflammation that can be caused by a number of conditions. Inflammation, especially in joints, can lead to agonizing pressure points and immobilized joints. Corticosteroids work to mimic the body’s hormones that are produced by the adrenal glands, which carry out the body’s anti-inflammatory functions. Your Aventura sports medicine doctor will work to strategically inject the cortisone shot into the joint, or joints, that are inflamed. Once the inflammation has dropped, patients will be able to retain more mobility in the affected joints and better work to strengthen their bodies back to a full recovery. For patients suffering from severe injuries or pain that persist for weeks after treatment, cortisone shots offer a more powerful and sustained relief from symptoms of pain and inflammation. Other pain medications that do not address inflammation are only working to temporarily mask pain until the patient can achieve a full recovery from the root cause of the pain. Other pain relief efforts like physical therapy are slower at achieving anti-inflammation. 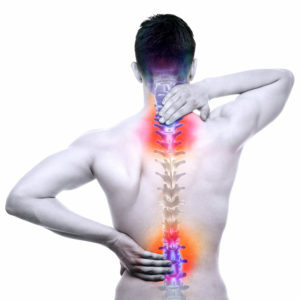 Certain injuries like back or neck injuries, may render a patient immobile. Sustained immobility can worsen a patient’s condition and will prolong the recovery process. Cortisone shots are great for athletes or people with these unique injuries or conditions because of their ability to achieve almost instantaneous results. Patients will be able to reduce inflammation, freeing up their injured joints to more quickly recover their full strength and rotation. This works great for patients with stiff necks or backs that impede athletes from retaining their high levels of exercise. Cortisone shots are also popular among busy business men and women that can’t afford the time of lengthy bed rest recoveries. Corticosteroids work great in many cases for patients of varying conditions and symptoms and are extremely safe in the vast majority of applications, however, they are a strong remedy that carry certain limitations. Corticosteroids replicate the body’s immune hormones which can affect the body’s ability to fight infection. Cortisone can also affect a patient’s blood glucose level, which can cause complications for patients with diabetes. You will want to work with your local West Palm Beach orthopedic specialist to establish the best plan of action to prevent any side effects and maximize the benefits of cortisone shots for pain relief.